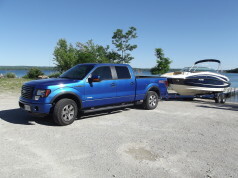 Custom-painted boat trailers with chrome wheels are not unusual among performance boaters and competitive bass anglers. But most boaters’ tastes don’t run to bright colours and metal-flake paint. So the idea of bling for your boat may be misunderstood. Don’t get me wrong. Boats are expressions of their owners’ taste and personality, so you can expect to see some customization and personalization. But for the most part, trailers are practical boating tools that are usually judged solely on the ability to do their job: they store our boats and PWCs properly while out of the water, then help us transport them to our favourite launch ramps to be launched and retrieved. So, most of the trailering accessories I am going to recommend have a pragmatic purpose. They are divided into three categories: must-have equipment; add-ons that offer convenience; and accessories that will help you avoid embarrassment on the launch ramp. 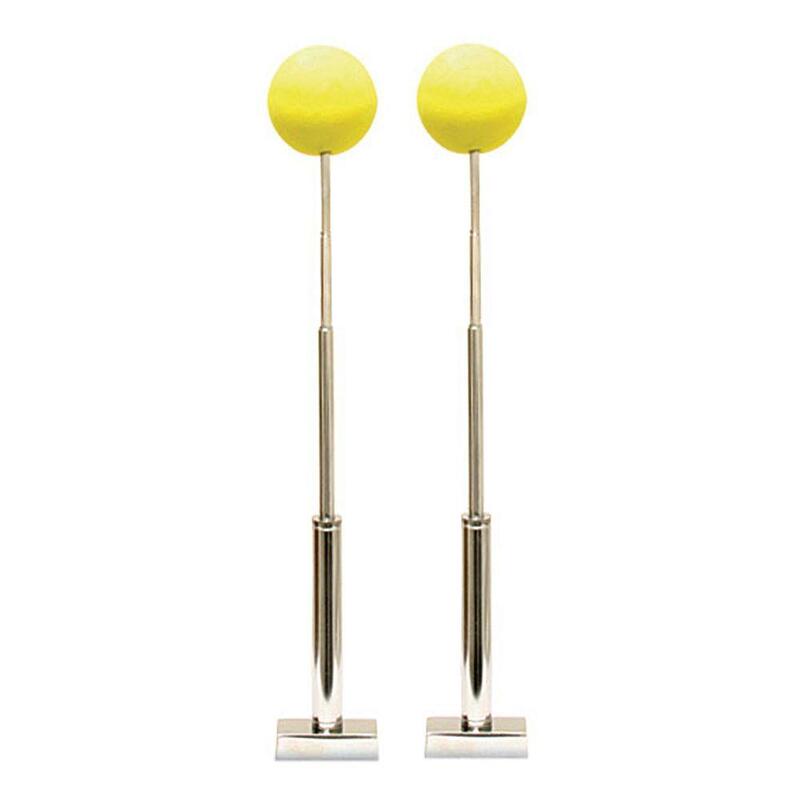 Probably the most indispensable trailer accessory is a swing-arm tongue jack. 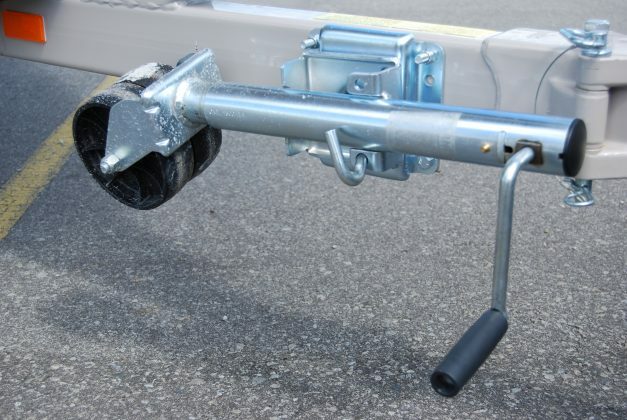 Depending on the tongue weight of your trailer and your own physical fitness, you may not even be able to hook up or disconnect your trailer without it! 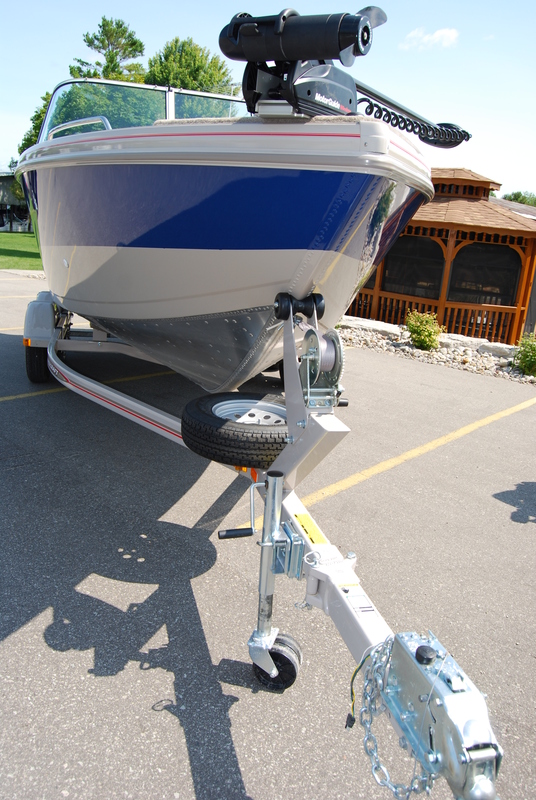 The most useful ones are equipped with a caster wheel that lets you move the trailer around more easily by hand. 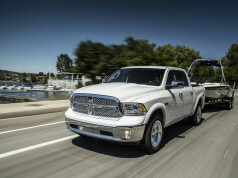 If you’re buying a new boat-and-trailer combo, a jack may be already installed. 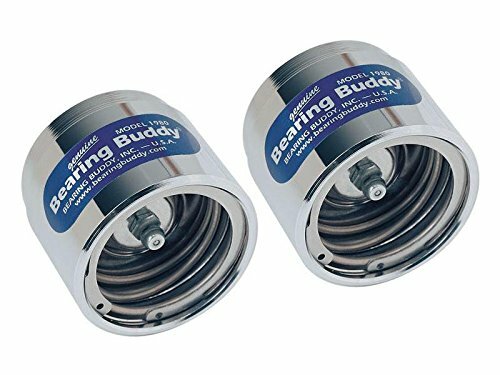 Next on my list of must-haves are bearing protectors (Bearing Buddy is the best-known brand) to be installed on the trailer’s axle. 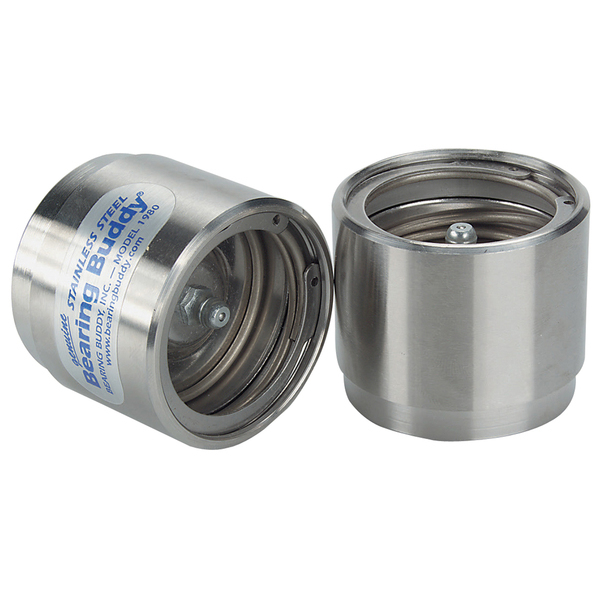 They have a spring-loaded flange that pushes grease into the axles. Check them regularly and get a grease gun to keep them topped up. An air pressure gauge, to measure pressure in the trailer’s tires, is another necessity. For convenience, you can buy inexpensive wheel chock wedges — better than rocks or old pieces of 2‘X4”. Check that your tow vehicle and trailer wiring all match up; if not get some adaptors. If your trailer’s winch is too hard to operate, install a new two-speed manual winch or an electric winch. With moderate DIY skills, you can install a relatively inexpensive winch that will handle a 5,000-lb boat. A spare tire is another convenience. But if you don’t want to pack a jack and full tool kit, consider buying a CAA membership with RV endorsement, ensuring a tow from the roadside to a competent garage. And to avoid embarrassment? For starters, buy a tongue-lock, so you won’t ever be left wondering how your boat and trailer disappeared overnight. 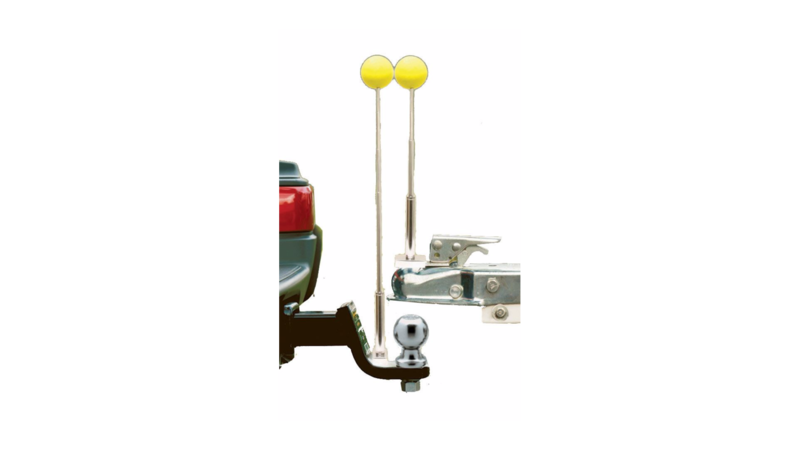 And to make trailer hookups easier for those without good back-up cameras, Reese Towpower has the Solo Hitch Alignment Tool — two magnetized poles topped by yellow balls. 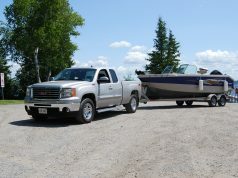 Install one on the hitch and the other on the receiver; back up, line them up, and you’re ready to go. To avoid the guffaws of onlookers at the launch ramp, install bow guides to help you line up your boat on the trailer at retrieval time. Handling a trailer in tow is never easy, but well-practiced skills, hard-won confidence — and the right accessories — make a huge difference.